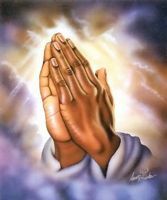 Please pray for us Maizle Costa & Vance Vaz. I ask you LORD with my crying heart to forgive me for offending you with what you had blessed me with... you are a merciful Lord, have mercy, have mercy Oh Lord on me and forgive me, forgive me for hurting Maizle badly with my words. Lord she still loves me but because of my angry behavior she feels insecure. O Lord help me to be a better man to her, help me to be Kind, Loving, Understanding, Calm, Patient, and Supportive to her. BLESS HER ABUNDANTLY LORD... & CHANGE ME LORD.. Bless me with a kind heart and a clean mind!!!!! Touch Maizle's heart Lord and give her strength to overcome the hurt and pain. Restore her love and regain her confidence towards me & help her to feel good about me. Lord Jesus as the dove came down from heaven onto you, the same way Jesus you sent a dove from heaven onto me and she (Maizle) taught me a lot of good things.. Lord with all my FAITH, HOPE & TRUST I ASK YOU TO PLEASE BLESS ME WITH MAIZLE & LET YOUR PRESENCE BE UPON US. Help me to be financially stable and help me to be the man she's seeking for. Give us peace & grant us your grace Lord. Bless us with a good Job, Career abroad or in Dubai, and financial stability. Nothing is impossible with you Lord as you have said in Mathew 19:26 "EVERYTHING IS POSSIBLE WITH YOU" Lord please help us, Heal Us and Heal our relationship & Create a miracle in our life. Fill us with Joy & Happiness in our Life & in our Hearts forever. Shower your Blessings & Love over us. It would be really kind if you can delete all prayer requests in this name of Vance & Maizle as many can read and many family relations including friends... Just keep them in your mind and pray for them as they really need ur prayers. That's a great beginning that you understand how much you've hurt your woman. It's very good you ask God for help. But it would be just perfect and the best for your lovely woman if you change yourself and try very hard. Do things not talk.